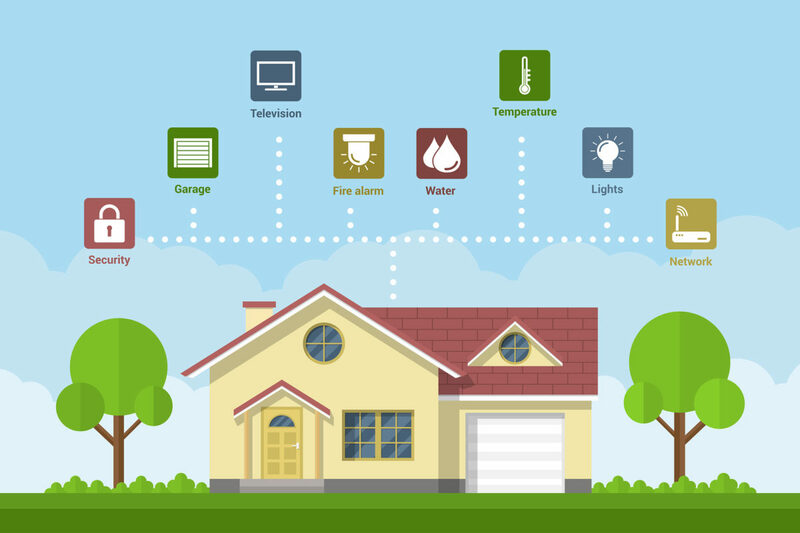 Build Your First Smart Home in 5 Easy Steps. 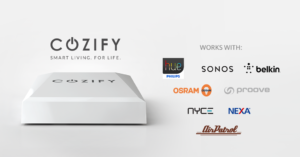 Cozify is a wireless smart home hub that is easy to set-up, use and the perfect start for your first smart home. You can connect smart devices from different manufacturers into one easy to use place and can control all of your Smart Home from the easy to use Cozify Mobile App. There have more additional features such as notifications, pleasant wake up experience, and responsive living. With Cozify you can make moderating and living in your Smart Home more comfortable. You can buy the Cozify Hub on their website for only $249. The Nest Thermostat is a smart and learning thermostat, that programs itself to optimize your homes temperature and energy consumption. Perfect for homes with central air and heating systems, with a fairly easy install, and integrations with Amazon Echo, and Apple. The AirPatrol Wifi is ideal for multi-split AC’s that are controlled with a standard remote control, and one of the easiest products to add to your first smart home. The WiFi controller replaces the original controller and connects with the AirPatrol mobile app. 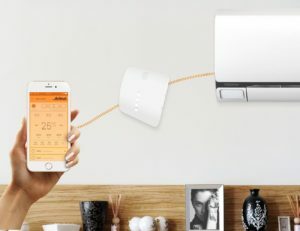 From the app you can control your AC from anywhere, including turning on/off, setting the temperature, adjusting swing and modes, and creating timers and schedules. 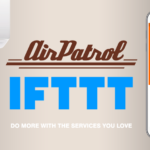 Soon to be integrated with IFTTT. 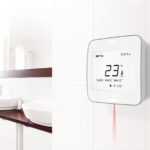 Check out the full AirPatrol Smart Thermostat and WiFi AC controllers list. 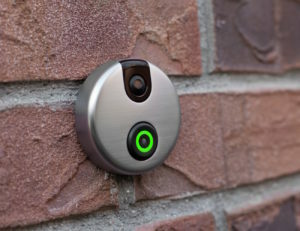 Nest Cam Outdoor is a sleek and reliable camera that is attached to your mobile phone. You can always keep an eye on your home and security, as well as choosing your plan for how long to keep your footage, 10-30 days. Includes a built in speaker and microphone to allow a two way communication. A super easy install and 130 degree view. With the August SmartLock you are literally turning your smartphone into a virtual door key. You can control the lock on your front door, as well as giving out additional keys to other family members or friends. There is a cool geo feature that unlocks the door as you approach, and locks it as you leave, of course you need your smart phone on you for this to work. Combined with your current hardware, Apple Home, and your phone or smart-watch, it is a great start for your smart home at a reasonable price of $229. The Skybell will always let you know who is at the front door. This smart doorbell has HD Video, WiFi connection, live monitoring, night vision, and a two way communication channel. It connects with all the major integrations, including IFTTT, Nest, Amazon Echo, and Apple Home. They even have a free replacement if it happens to get stolen! You can pick it up for $199 on their website. 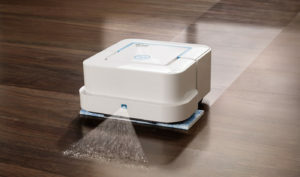 The iRobot Braava Jet 240 will cleans your floors in an efficient, systematic pattern. It’s smart design helps get into tight spaces, including under and around toilets, into corners, and below cabinets. It also remembers obstacles in its path and slows down to gently clean along furniture, walls, and fixtures. Some extra cool features are it knows when to power down andautomatically shuts off after a cleaning run, or if it encounters a problem, as well as returning to it’s starting point. You can pick it up here for $240. You have most likely heard of the Roomba, it has been out since 2002 and you probably would not even think this is a smart home product. But over the years the Roomba is truly one of the smartest cleaning gadgets on the market. They currently offer five models, ranging in price from $374.99 – $899.99, and all different features and extras in between. Their newest Roomba, the Roomba 980 can navigate an entire floor of your house, while keeping track of its location and recharging as needed until the job is done. They have a new carpet feature that boosts the power to make sure to grab all the dirt and grime stuck in the carpet. 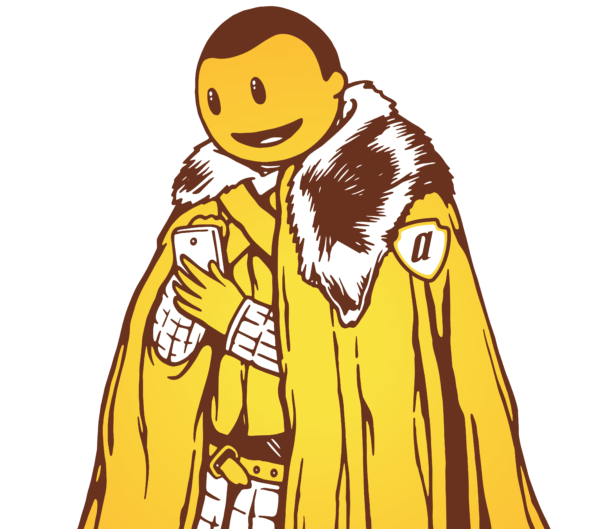 You can now connect to their mobile app, and control the Roomba from anywhere in the world. The AirPatrol SmartSocket is a perfect start for your first smart home. 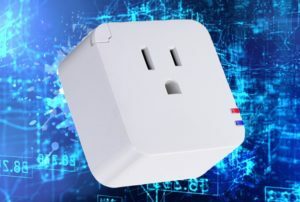 It is a beautiful and sleek smart electrical outlet that you can control and monitor with the AirPatrol mobile app. It gives you energy and money consumption in real time, as well as weekly and monthly reports. You can also turn on/off any electrical device from anywhere in the world, which is perfect for electrical radiators or boilers. Check it out on the AirPatrol website for only 79 Euros. Do you ever have problems with your WiFi? Does your router need to be reset constantly? Never worry again, because the Reset Plug will do this for you automatically. If you wifi goes out, the Reset will simply turn off and on again, thereby resetting your WiFi router, and giving you back your internet access. You can pick it up for $59.99 on their website. With the Phillips Hue Starter Kit, you never have to worry about turning on/off your lights again. 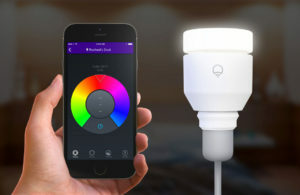 You can set up light schedules for when you are home or away, as well as control the lights when you are away from home with the Hue Mobile app. 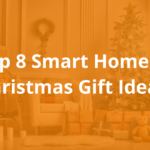 One of the easiest options for your first smart home. Perfect to optimize your electric and light bills. Purchase the Starter Kit for $59.99 today.